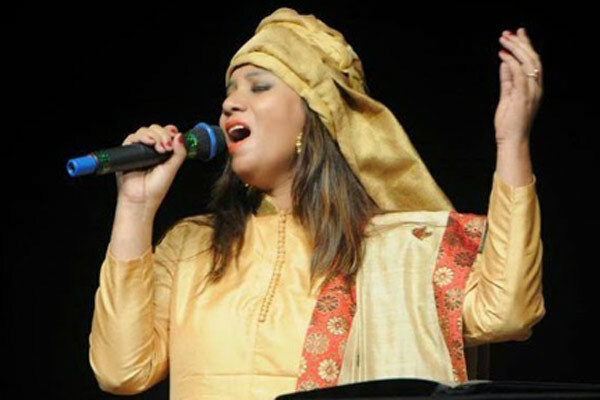 Assam folk singer Kalpana Patowary is set to perform at the closing ceremony of 2018 Commonwealth games to be held on the Cold Coast, Queensland in Australia. The 41-year-old singer from Assam, who is known as the ‘reigning queen of the Bhojpuri music industry’ has been invited to sing on the closing day of the Commonwealth games on April 15. “I was shocked when I heard the news that I will represent India in the closing ceremony of the Commonwealth games. One question that immediately came to my mind was why I have been chosen for such an event. I am simply a Bhojpuri singer,”Kalpana said. As a Bhojpuri singer, as a folk singer it’s a great honor for me, said the singer from Assam. Kalpana, who made her foray into Bollywood in 2014, promotes cultural and linguistic diversity of India working assiduously in 30 Indian dialects and languages of over 10000 songs. Born in Lower Assam’s Barpeta district, Kalpana is a disciple of Ustad Gulam Mustafa Khan and has been influenced by music maestro Bhupen Hazarika. A graduate in English literature from Cotton College and Visharad in Indian Classical Music, Lucknow in 1996, Patowary started publicly performing at the age of four. Although she has many folk and popular songs to her credit, Bhojpuri music has been her most dedicated foray. She has lent her voice to numerous films in different languages including Hindi, Tamil, Marathi and Bengali besides Bhojpuri and Assamese, which is her mother language.